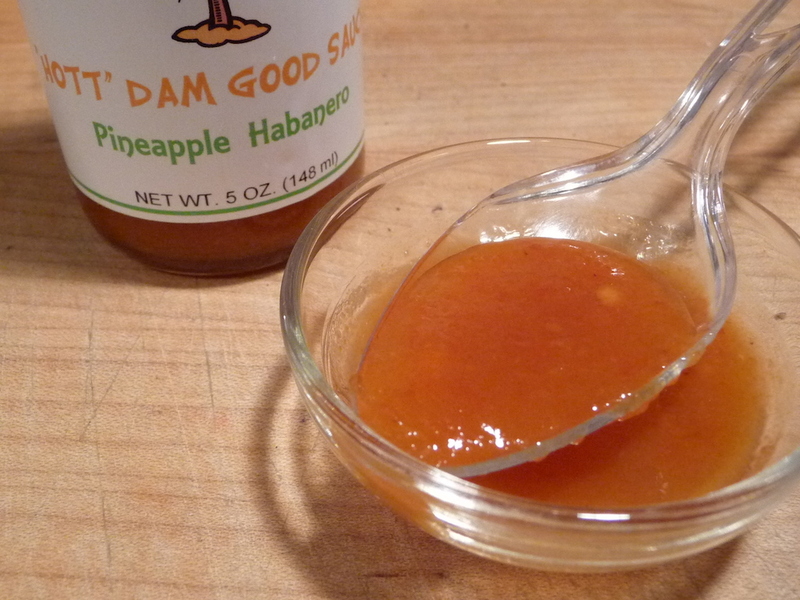 Hott Dam Good Pineapple Habanero sauce is from Ed’s Roadhouse Jerky. They not only have over 30+ flavors of jerky but they make a handful of rubs, hot sauces and a Hickory BBQ Sauce. We last visited Ed’s Roadhouse for his Sriracha Wasabi Jerky. An amazing jerky that is the best we’ve ever had! Bar none. This time, it’s one of their 4 hot sauces we’re looking at – Ed’s Roadhouse “Hott” Dam Good Pineapple Habanero Sauce. Ed’s Roadhouse describes Hott Dam Good Pineapple Habanero sauce as having a “Lightly sweet pineapple flavor with a habanero tang.” That’s putting it mildly. This sauce has a big kick! The habanero burn is predominant. The sweet pineapple is secondary. Ingredients: habanero peppers, pineapple, sugar, salt, garlic, vinegar, xanthan gum, natural spices. Texture and appearance: A beautiful bright colored sauce, the thick sauce and tiny chunks of pulp will please the eyes. Taste: Wow. Bang. Hot. 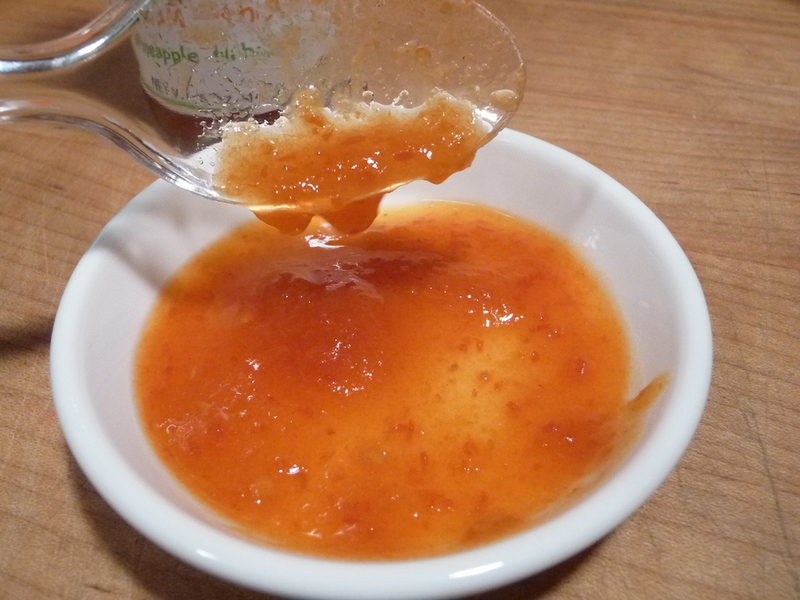 The habanero heat is way up front, with the sweet pineapple and sugars coming in a close second or third place. This is truly a habanero lovers sauce. No wonder they call it “Hott Dam Good”! Overall impression: Personally, I prefer the sweet pineapple taste up front. Hott Dam Good Pineapple Habanero is all about the habanero pepper taste first, then the sweet kicks in. True fans of the habanero pepper will enjoy the fresh taste that is first and foremost in this sauce. High quality ingredients and freshness bring this sauce to a level that is worthy of any chilehead’s pantry or as a gift for the person that just loves habanero sauces. 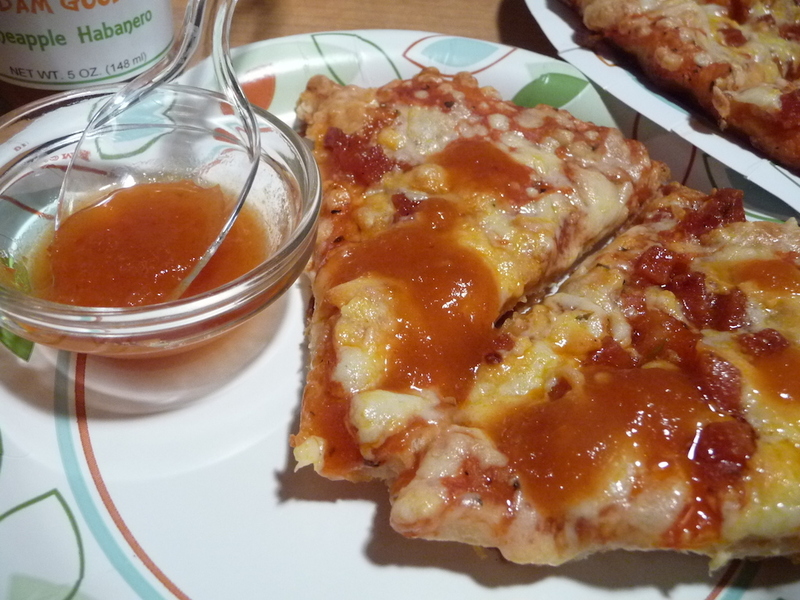 This sauce is made for pizza and other munchies. Flavor: 2/5 stars – Other than the sweet pineapple, there’s not much going on here except the bright hot sting of the habanero pepper. Heat: 3.5/5 stars – The burn is above average (2.5) but not over the top. If you know the classic fresh habanero burn, then this is it. Ordering: Visit EdsRoadhouseJerky.com to order this sauce, along with the dozens of other products they make. We hope to bring you more reviews of Ed’s Roadhouse products – both jerky and sauce. Stay tuned! Are you a fan of the straight up habanero flavor or sauce? Let us know in the Comments below. And a big thank you to Mary and Ed of Ed’s Roadhouse for the opportunity to review one of their hot sauces. I like habanero sauces and I like the idea of a pineapple hab sauce, but I think I would like it with more pineapple up front and heat in the back.